In anticipation of the trip to Iceland we are planning, I was perusing one of the travel books on Iceland and found that the town of Akureyri has three authors from there. The most famous of which is Jon Sveinsson, author of the Nonni books. There is a series of Nonni (the main character) stories but I was only able to find one, Lost In The Fjord. Perhaps the others haven't been translated to English or are a bit more obscure. 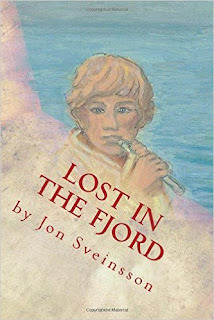 Lost In The Fjord while said to be a children's story is written much like Heidi or The Little Prince. Not like the storybooks we find today for kids. 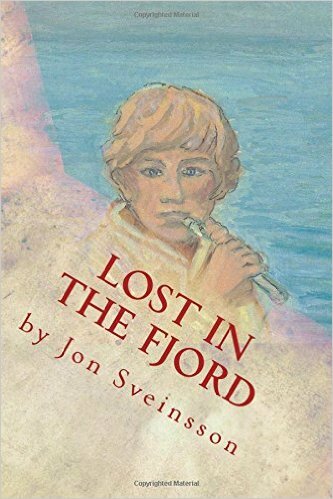 The story is of a boy and his brother who venture out into the fjord near their home in Akureyri and against advice and warnings from their mother as well as several others, they row too far out into the fjord and are swept out into the ocean. They have a great adventure and in doing so also make a vow to God to help bring others to faith. I thought the story was entirely fiction but in reading the notes at the end discovered that there really was a Nonni and a Mani and they were the author and his brother who kept their vow and joined the Jesuits. It's a charming story and gives a little glimpse of life in the early 1900s in Iceland. A nice read before going on the road again to travel Iceland. Wow, what a postscript to the story, that it was based on what happened to the author and that he kept his promise to God.